Selecting, planning and presenting a projects colour palette can be key within interior design and architectural projects - it works for branding and often graphics too. Often we stick to the rule of 3's; 3 colours, 3 fonts and 3 main materials. When planning out your presentation boards for a client, make sure to show clear visuals so they understand the concept, design and layout but also the atmosphere, colours and materials proposed. In order to help with presenting this, I have created a FREE downloadable Photoshop file for you to use in your projects. All you have to do is join the Layoutlines Library by signing up (it's completely free) and you will have access to files, templates and printable to use on your projects. 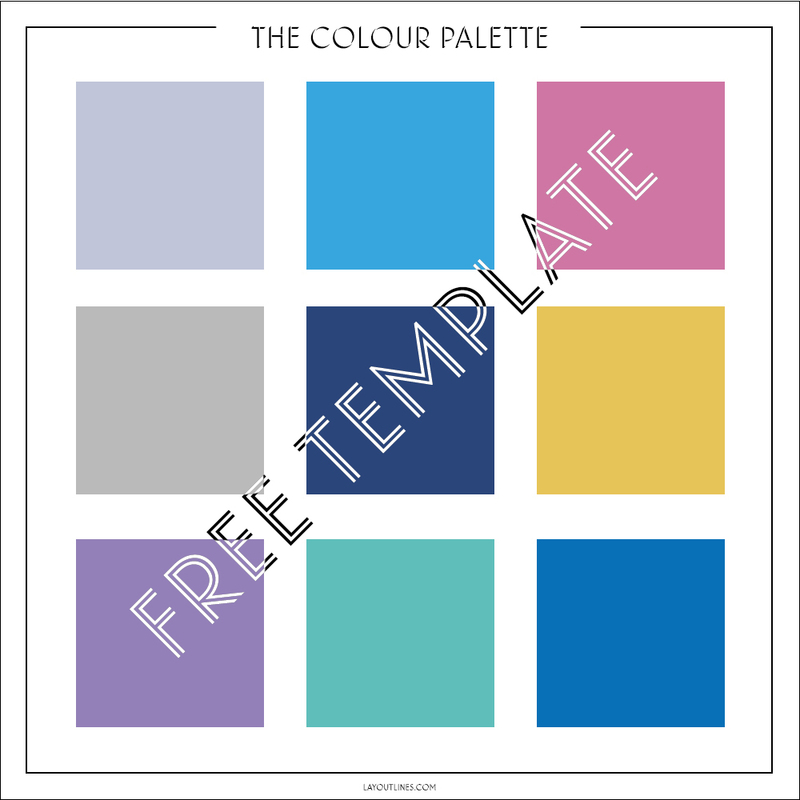 Once you have downloaded the Colour Palette file, open it in Photoshop and change the colour of each square to suite your project. Feel free to delete or add as you like, you might want to add in some text or change a colour to a material or effect. Play around with the layout of colours and save for the next project. Get started today - give me FREE access now! !